Dixon offers a full range of hose assemblies and stainless steel hygienic fittings and valves for use in the food, dairy, beverage, brewery, cosmetic, chemical and pharmaceutical industries. 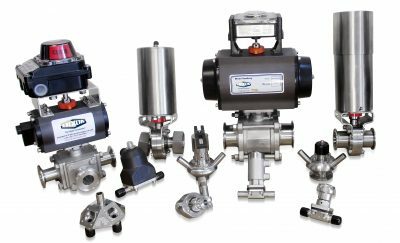 Of particular note is Dixon’s range of high quality process valves which include ball, butterfly, diaphragm, seat, sample, and mix-proof valves which can be actuated to customer specifications and fitted with a range of stocked accessories that includes limit switches, solenoids and positioners. Also available from Dixon’s in-house production capabilities are full hygienic fabrications and custom made hose assemblies for the hygienic market. Our range includes but is not limited to San hygienic Rubber, Silicone, Metallic, PTFE lined, and general PVC suction and delivery hoses. Dixon’s hose range now includes Heat Traced, Hot Water Thermal and Duplex hose assemblies. New to the range is the compact impact resistant sight glass. 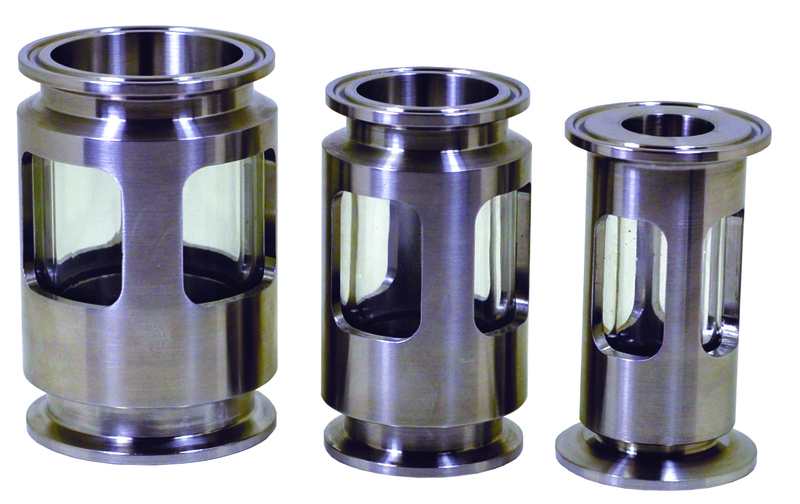 This new sight glass, used widely in food, dairy and beverage hygienic processes, is perfect for hoses and high traffic areas. With on-site valve actuation, 3D design, full technical back-up and BSI approved manufacturing and engineering, Dixon can design and produce individual bespoke valves and fabricated configurations to efficiently solve customer problems. This has included pump carts, bespoke valve configurations and innovative display sight glasses used on beer pumps to infuse product. Find out more from our full hygienic catalogue, available online or by request.